Packed with plenty of historical attractions and current events alike, Richmond has the sights, sounds, and scents to keep its residents happy all-year round. But if you don't have a reliable car to get around the city, you may find yourself feeling trapped inside the house. 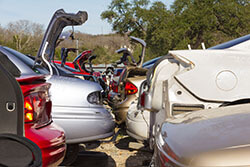 Damaged cars not only take up space, but they can be difficult to get rid of. Dealers and private buyers are typically only looking for cars that run and junkyards only want to negotiate you into a corner. If you have a junk car you want to sell, consider DamagedCars.com as your ticket to getting the cash you want. 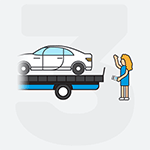 We buy cars online and offer free towing so you don't even have to leave the house! Click here to start your FREE online quote! When you're searching for 'How to sell my car in Richmond', you should know that DamagedCars.com specializes in getting you the most for your vehicle. We're the experts at evaluating even the most damaged cars so our customers get the money they deserve. Plus, we speed up the process so that you don't have to keep your junk car for very much longer. 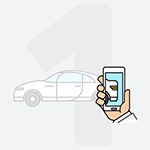 Most of our customers enjoy instant quotes from our free online evaluation system and 24 – 48 hour towing from the time they decide to sell. DamagedCars.com specializes in salvage cars, damaged cars, and junk vehicles in Richmond, but we're also happy to buy perfectly functioning cars as well. We recommend our services to those with damaged vehicles though because we have the experience to extract every ounce of value from them. What do I need to sell my car in Richmond? We ask that you have the keys and the title of the vehicle on hand for a smooth transition. If you choose us as your Richmond junk car buyers, you'll get paid on the spot at the time of pick-up. 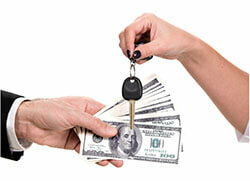 We provide cash for cars in Richmond based on the car's model, make, and condition of the car. Unlike a junkyard dealer who will only offer you a price based on the weight of the scrap metal, we consider the premium features of the car that you may have spent time and money maintaining during the car's lifetime. We look for sustainable ways to keep our costs low, so we can pass those savings onto our customers. We give out cash for cars because it's often the only solution that owners have to transition to a safer vehicle. Fixing a car is generally not recommended for older cars, especially because a mechanic often can't assess the full extent of the damage until they actually dig into the car's interior. Don't waste time haggling and dragging your car around to different junkyards when you can get a fair price without all the hassle. Richmond is no stranger to the concept of personal freedom. It was the site of Patrick Henry's famous speech and the city where the first successful electric street railway was established. Richmond leaders wanted people to have more options when deciding how they lived! A safe car may not be quite as monumental as these events, but it is a celebration of independence nonetheless. A car gives people the choice to go where they want, when they want. We buy junk cars in the city of Richmond as well as all over the US. Our goal is to ensure that you get the service you need, wherever you need it. So if your car happened to break down outside the city limits or in one of the city's many suburbs, we're happy to come and meet you there. What should you know before selling to a junkyard or private buyers in Richmond, VA?